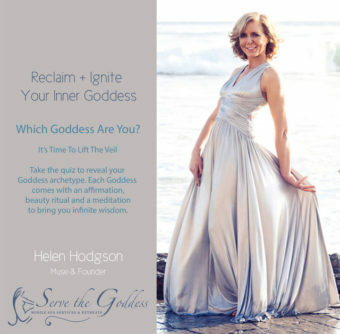 Today it’s my pleasure to introduce you to the founder of Serve the Goddess®, Helen Hodgson. Helen Hodgson has over 25 years’ experience as a Registered Nurse and personal fitness trainer and has been a massage therapist since 1995. 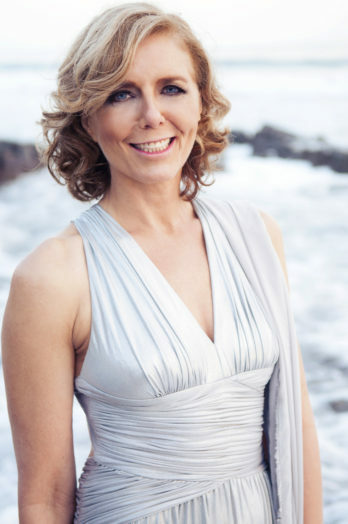 Helen founded Serve The Goddess® in 2000 after working for many prestigious spas and in private practice. With a staff of 50 massage + spa technicians, Serve The Goddess® provides massage + spa services throughout Southern California. 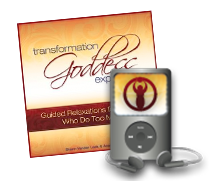 Divine Feminine Spotlight conversations can be enjoyed by clicking on the audio player below or you can download them to your iPhone, Android phone or mp3 player at iTunes. 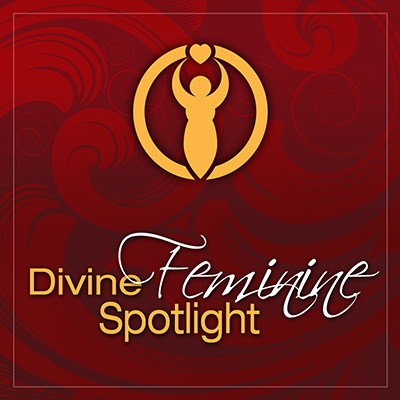 You can also stream the Divine Feminine Spotlight on Stitcher. Carve out 30 minutes to listen to our intimate conversation to receive the full energetic connection of our transformational time together. I know you will enjoy Helen’s dynamic energy! Please share a life-altering transition and transformation you’ve experienced. My transformation began about 15 years ago. I used to be a people-pleaser and I struggled to say no. I knew little about boundaries. I learned from years of watching my mother, a Demeter archetype, nurse and mother of five – that as caretakers, we women, are often the last ones to nurture ourselves. I swore I wouldn’t journey the same path, but as a nurse and massage therapist myself, I experienced the same “over giving” (that led to days spent recovering in bed) while neglecting my own needs. It wasn’t until I tapped into my Aphrodite archetype and experienced an awakening, that I was inspired to practice self-love and Serve The Goddess® was born. I went on a pilgrimage to the mythical birthplace of Aphrodite in Pathos on the island of Cyprus and became an advocate for empowering women. I’ve always been present in my body from a young girl dancing through the woods and meadows in my home town in England. I became aware of my sexuality as a young girl –sometimes getting too much male attention. For as long as I can remember had a joy for life but have been told to “tone down” my enthusiasm for life by the critics and felt squelched. It wasn’t until I moved to the U.S 20 years ago that I felt more accepted and found my tribe. I see my body is my temple. I’ve always taken good care of it and continue to do so–even more so now I’m in my late 50’s. As a personal trainer, I’ve been working out for over 30 years. I relate to my power by keeping my body strong and my voice clear. As a sensate woman and an Aphrodite archetype, I believe rushing cuts of sensuality. I like to take my time to enjoy sensuality in life and follow my sacred feminine principals. Reflect: Slow down and sometimes, shut down to reflect inwards. Mornings are my most favorite to reflect. I start the day with a glass of warm lemon water then head to my deck for a 20-minute meditation. I started meditating about five years ago as a way to stay focused and complete my goals. As an entrepreneur and visionary, my head is constantly swimming with new ideas so I need the focus to follow through with projects and avoid getting distracted. Feminine energy is quiet and soothing. It goes with the flow of life. It does not swim against the current of the river. It finds the direction of the current and let’s go. Connect with nature. I am fortunate to live five minutes from the beach and make it a 3-4 times a week ritual to walk barefoot for an hour on the wet sand. I’ll either take an early morning walk — especially during the busier summer months or after the work day and breathe in the fresh ocean air and marvel at the velocity of the ocean. I make it a point not to take my phone with me so I can’t be disturbed. I am constantly astonished at this miraculous element that is cleansing and pure. Accept and acknowledge my emotions as a woman and recognize they will and do fluctuate. I use the ocean as an analogy. Some days the ocean is calm like a lake, and other days the waves are wild and ferocious. No two days are the same. This allows me to let my feelings and emotions come and go. Release with spontaneous play time. If I’m stuck when writing or when making a decision, I’ll stop what I’m doing and play my favorite music and dance around my house. In no time I’ll have the answer to my question or a solution to a problem. I enjoy being spontaneous and I’ll call my hubby and ask him to meet me somewhere new after work or plan a get-away. Flow with creativity. I had my first poem published when I was 16 and l love to write spontaneous songs. I write a journal every morning and follow my soul prompts for the day. I use Danielle La Porte’s journal/planner as it’s based on how you want to feel rather than the ubiquitous list of goals. My hubby and I cook a brand new recipe three times a week and I love this creative process. By allowing time in my life for creative expression which fuels my passion for life and my business. A few years ago I joined a local women’s choir. I used to sing in the choir with my dad (RIP) when I was a little girl so doing so, has rekindled my youth. We perform twice yearly and I also push myself to do a solo. When I sing a solo I am strong and powerful yet soft and vulnerable. This is where I feel like a sovereign Goddess. Another way is by playing the ancient archetypal frame drum. My teacher is a student of the late Layne Redmond who wrote When the Women Were Drummers. The frame drum connects me to the womb, the great mother and is a direct line to our scared lineage as women. Women were the first drummers and the priestesses would invoke the goddess by playing frame drums. With the onset of patriarchal religions invading Europe, women were forbidden to dance, sing or play the drum. I feel when I play and sing I am playing for all those women who lost their voice (and more). This is very powerful. I also feel the same reverence when I lead my retreats and sit in circle with other women. 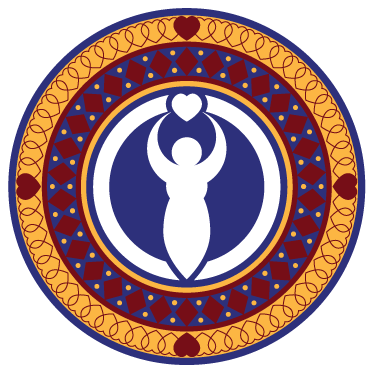 When I see the women in circle experiencing their own transformation, I know I am embodying sovereignty. I’ve always had a genuine interest in helping people and I get as much out of their transformation as they do. It’s an alchemical reaction. I think of standing in my power, speaking my truth and living my purpose. To walk in beauty means to walk mindfully with grace and barefoot grounded to mother earth. To stand in my power I believe in worthiness, so I don’t over-give. Calm knowing my own happiness comes first–because it never takes away from another’s. I speak my truth. I am at ease with saying “no” whenever I need to. I have clarity around my boundaries + priorities. I am secure at delegating because I know it’s strong to ask for help. Live my purpose. After I lead my first transformation retreat I called my husband on the long drive home. I was so elated and full of purpose from all the wonderful feedback I received from the attendees that I proclaimed that if I crash the car I will die knowing I’ve fulfilled my life’s purpose. Finally, I am open + ready to receive. I let others give to me for a change. What Inspired You to Create the Couple’s Massage Handbook? I was inspired to write the Couple’s Massage Handbook to inspire couples who are stressed + touch deprived to feeling relaxed, nurtured and connected through the healing power of touch. The Couple’s Massage Handbook takes readers from bumbling beginners to passionate pros in no time! This step-by-step guide covers the best tools, oils, music, and locations for giving a massage, including sequence readers can use to stay focused. Find it at Amazon. Tell us about the free gift you have for our sacred circle. Through my website, ServeTheGoddess.com and just about everywhere else you can think of online! You are also welcome to join my Facebook Page, Serve The Goddess Mobile Spa Services and my Facebook Group, Serve The Goddess Retreats. I look forward to connecting and serving you! Shann is currently booking Divine Feminine Spotlight Feature interviews for 2017. 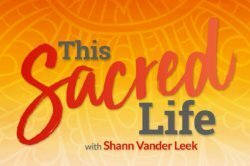 Want to Amplify Your Voice and Share Your Sacred Feminine Wisdom in the Divine Feminine Spotlight with a huge global audience? Thank you for sharing your journey Helen. I loved reading about your message of empowerment. As a caregiver, I understand and also had to learn to set boundaries to protect my energies. One of my favorite nurturing activities is also being with nature. Thanks Shann for your spotlight series. Glad you enjoyed my journey especially as you can relate. The power of nature is amazing isn’t it and don’t you find it doesn’t take long to really feel a difference! Thank you for sharing your journey and lifestyle tips, Helen. You have created a beautiful life. Thanks for your comment and yes I am blessed to enjoy this life. I’m so happy to share some tips in the hope they inspire others.